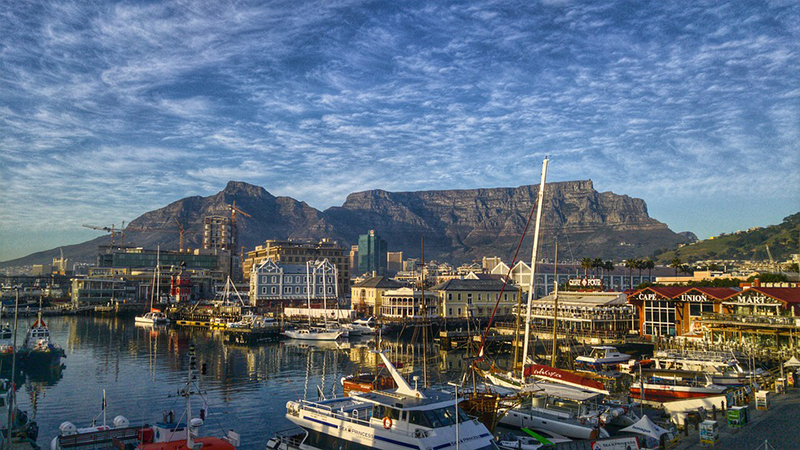 The landscape surrounding Cape Town, which is sandwiched between sea and mountains, is as rocky and dramatic as South Africa’s history. 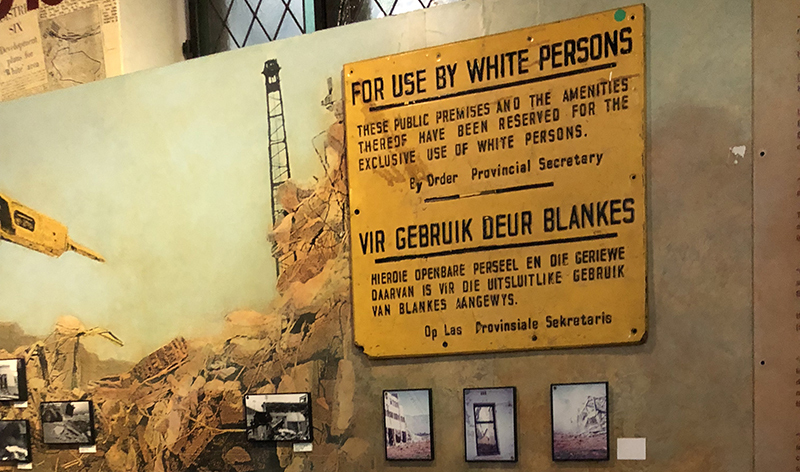 It’s day one of my Luxury Signature Safari Special tour with Bench Africa and I’m standing inside the District Six Museum as Ilios Tours’ guide Avril O’Connor tentatively tells her story about being forcibly removed from the Sixth Municipal District of Cape Town in 1966 after it was declared a ‘White Area’. “I was five years old when my family was kicked out of District 6. Back then, if you weren’t white, you were nothing,” says Avril, quietly. 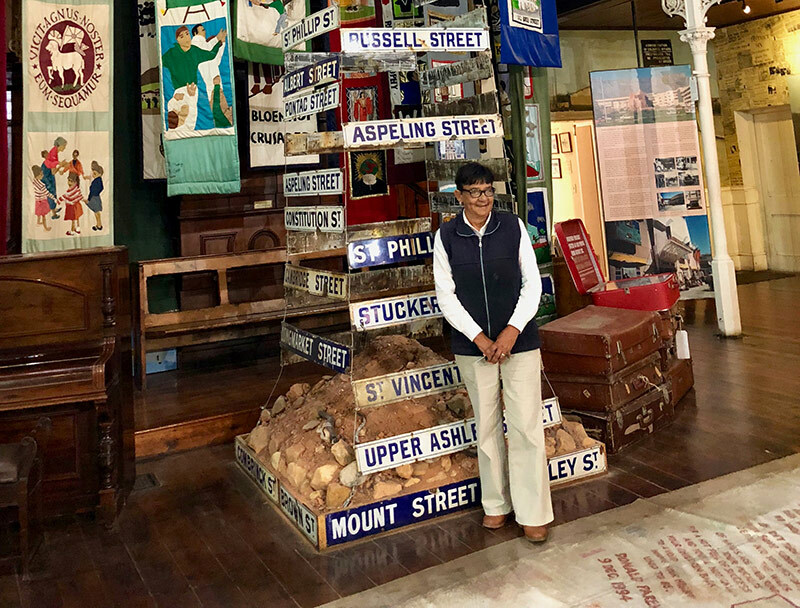 The 60-year-old is standing near to an exhibit that includes a salvaged signpost of Bloemhoff Street, where her family home once stood. The house was demolished and Avril and her family were forcibly removed along with 60,000 of the area’s inhabitants. Avril paints a vivid portrait of her fragile childhood, which includes the ripple effects of apartheid and what it was like to be part of that broken society. She also shares her extraordinary observations about amassing alongside thousands at Victor Verster Prison on February 11, 1990, to see Nelson Mandela walk free after 27 years in detention. 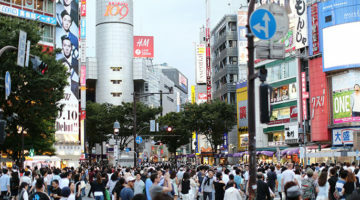 “It felt like a new world. I knew that life for a person of colour in South Africa was about to change,” says Avril, with a softness in her voice. 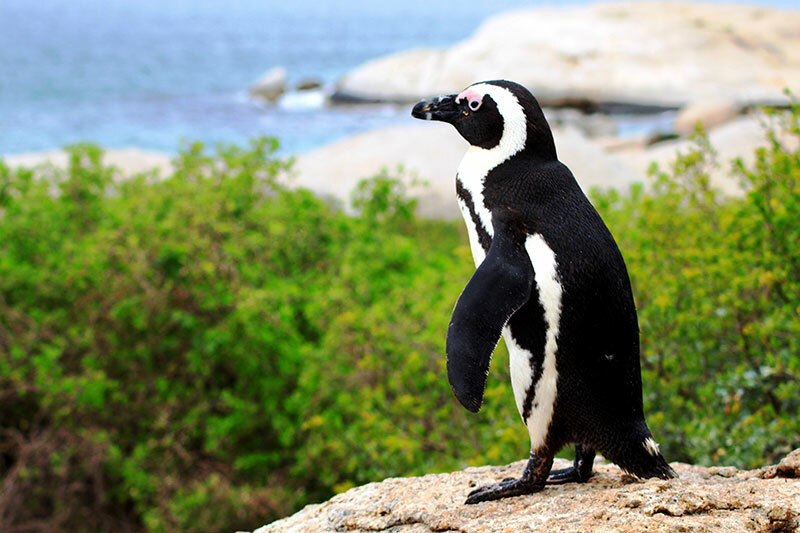 Our full-day Cape Point & Peninsular Tour with Avril is one of the highlights of the 13-day Luxury Signature Safari Special with Bench Africa, which includes leaning into the roaring wind at the Cape of Good Hope, taking a buggy tour of Kirstenbosch Botanical Gardens, cooing over the African penguin colony at Boulders Beach and enjoying lunch in the pretty coastal village of Simon’s Town. On our way to Franschhoek, at the end of the full-day tour, Avril takes us for an unscheduled stop at the Victor Verster Prison where her vivid stories about being part of this historic moment three decades ago seem to conjure up the very presence of the crowd and ghost of Mandela himself. 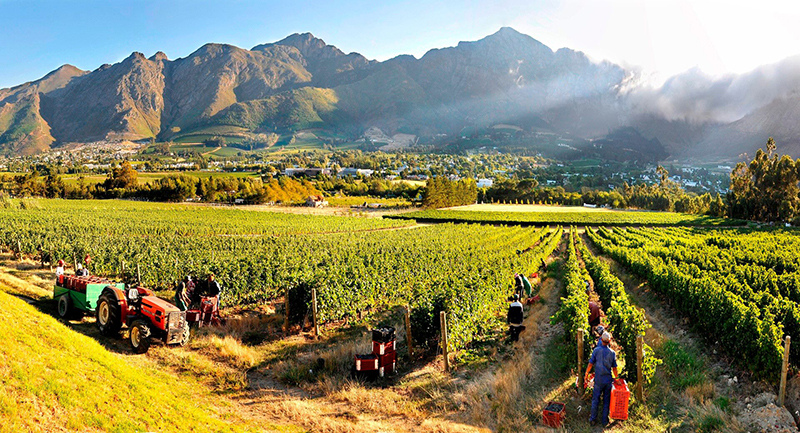 Avril’s ties to the land and its history remain front of mind as we pass from a poorly lit sprawl of shacks to rows of vineyards and gardens that lead to Franschhoek Country House. 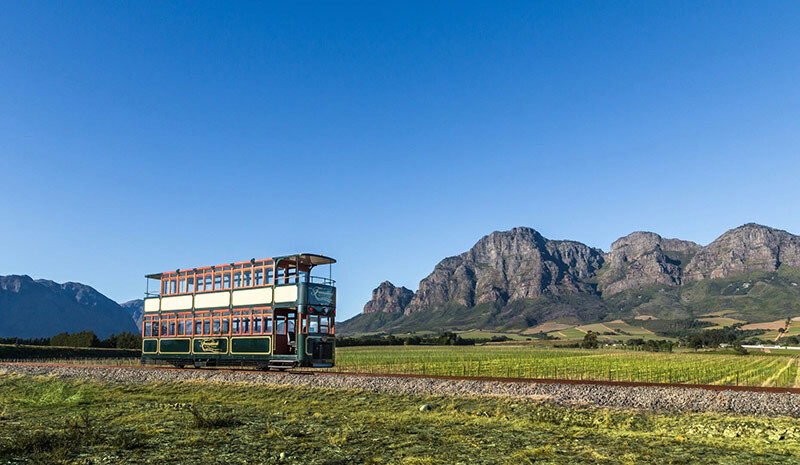 We find the charming township of Franschhoek flourishing the next morning as we board the Franschhoek Wine Tram to wend our way around a valley where the pretty countryside – rows of vineyards and Cape Dutch architecture – seems to have fallen from the pages of a children’s storybook. 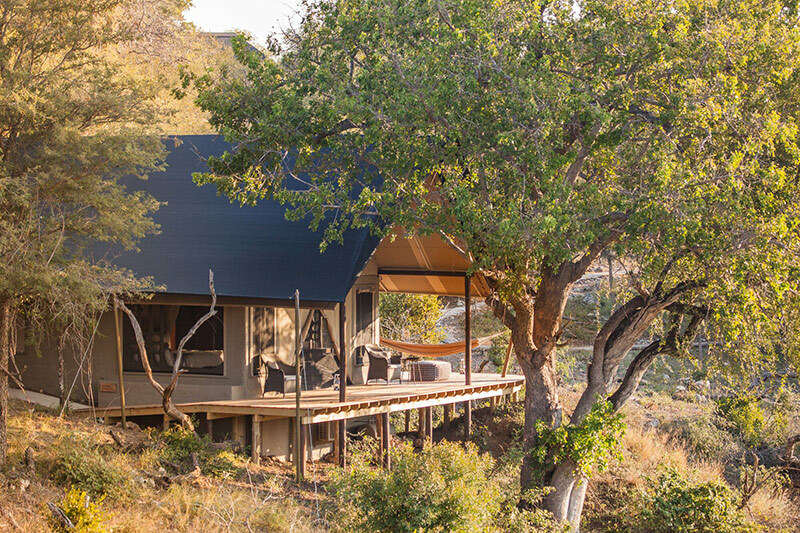 After a full day in the food and wine capital of the Cape, we fly to Johannesburg and then transfer to a small plane that takes us to a sun-baked ochre airstrip that cuts through the Greater Makalali Private Nature Reserve. The surrounding landscape is staggeringly beautiful and, after piling in a pumped-up 4×4 safari jeep, we observe a couple of giraffes rubbernecking over the landscape before we’ve even left the airstrip. 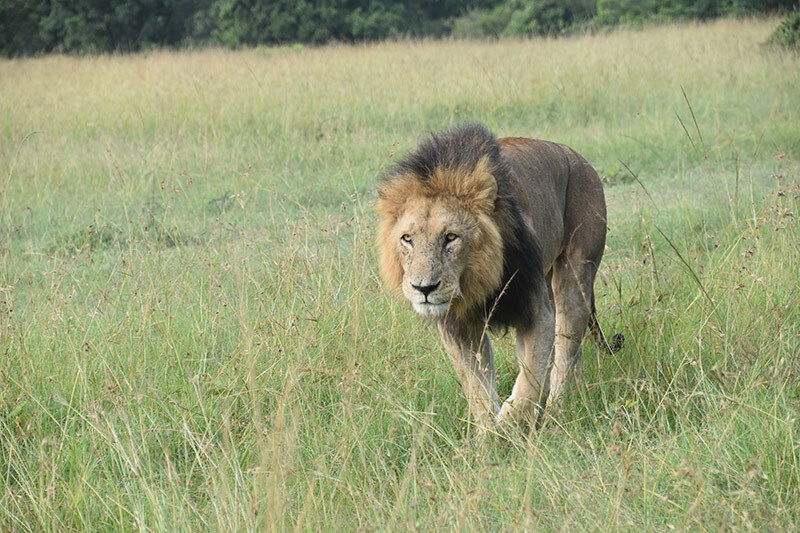 The conservancy is home to the Big Five, and we check another one off the list that afternoon with our field guide Jaffeth Malapane, of Garonga Safari Camp, when he finds a pride of lions crunching on the bones of an impala on our very first official safari. 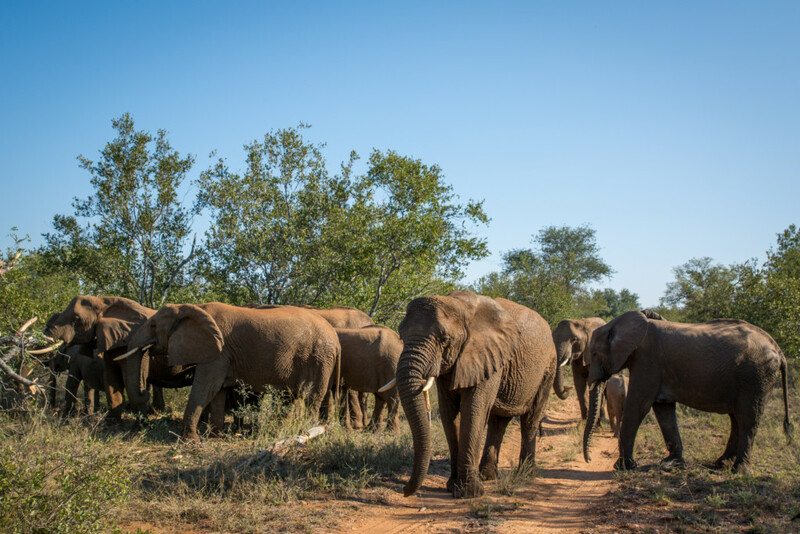 While our twice-daily drives around the conservancy cover a lot of ground, the rolling wilderness around Garonga Safari Camp also attracts elephants, giraffes and zebras, which we observe over breakfast, lunch and dinner. In addition to spotting big cats and baboons, hyenas, impala, warthog and more we find ourselves within metres of endangered black rhinos, hippos basking in the shallows of a muddy river and two giraffes, necks entwined while engaged in an awkward stiff-legged tango. 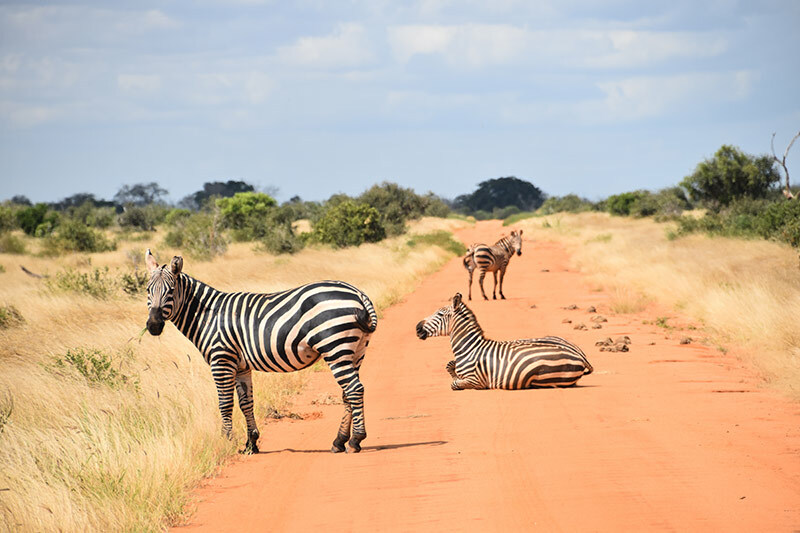 We are also transfixed by a dazzle of zebras which have taken up position in the middle of the road. “It’s a zebra crossing,” deadpans Jaffeth as the animals come in and out of formation, presenting an optical illusion in our path. 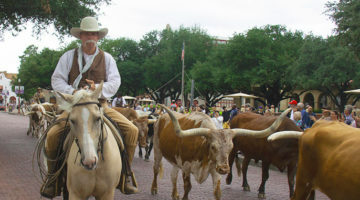 Of course, none of these animal encounters can be on the official Bench Africa itinerary. 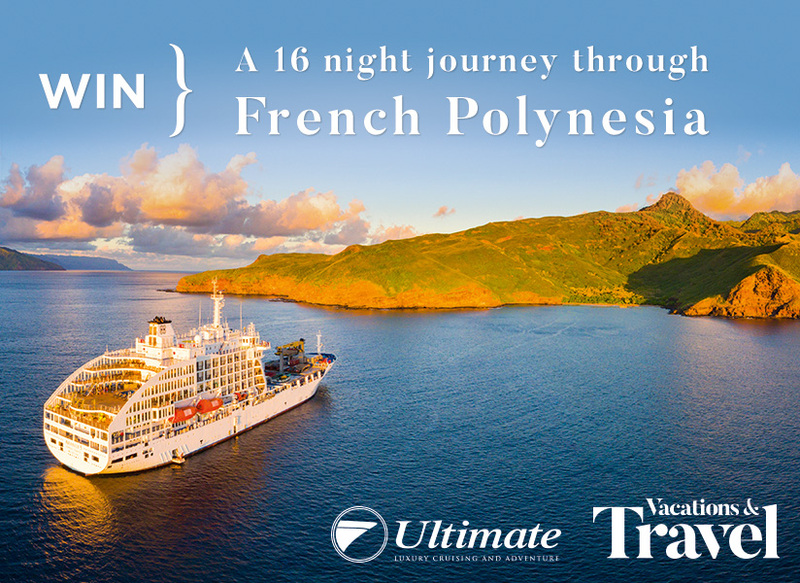 But because the company uses expert guides, it boasts above-average animal sightings. 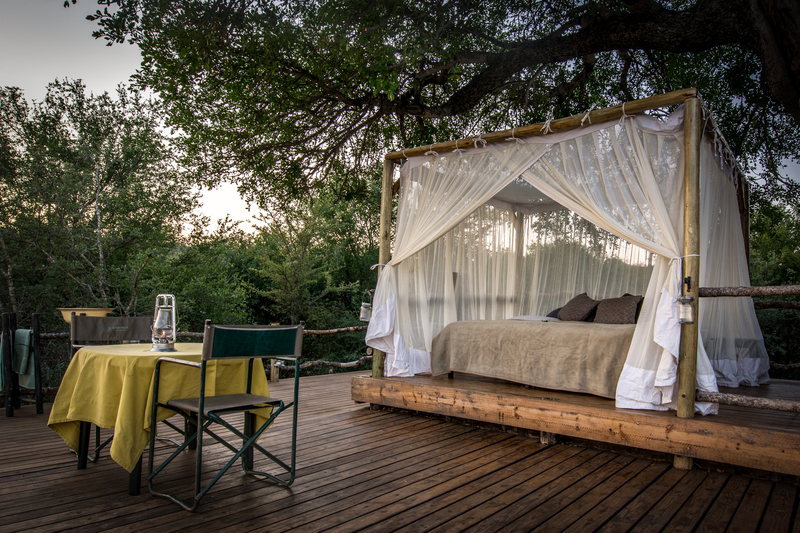 We also enjoy a treetop sleepout under the stars, learn about the constellations lighting up the night sky and enjoy daily post-safari sundowners and indulgent three-course dinners. 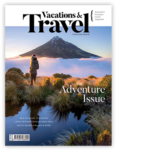 For a safari holiday that combines Cape Town, wine estates, game drives and more, the 13-day Luxury Signature Safari Special is a worthy and profound introduction to the continent. 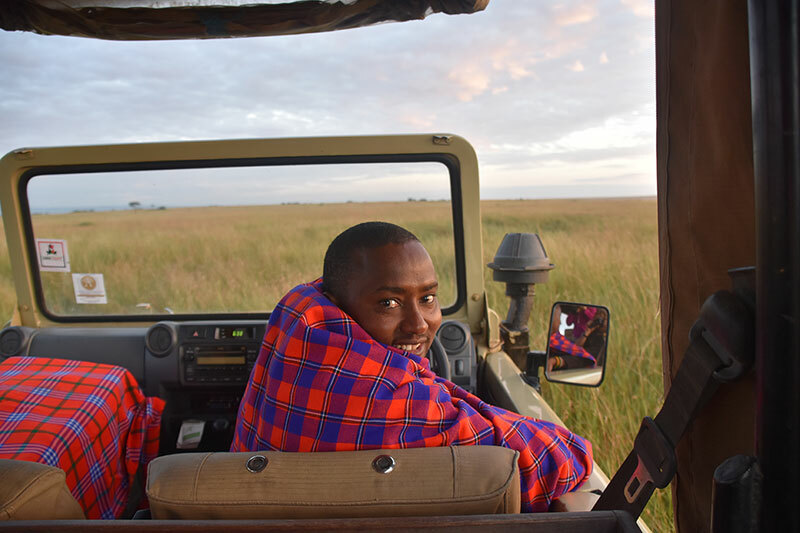 “What’s that?” I whisper, as my askari (Maasai warrior guide), Wilson Lemara, escorts me to my tent at Mara Ngenche camp in Kenya. 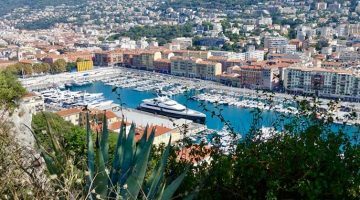 “It’s the zipper,” says Wilson, who’s clad in colourful beads with a red-checked shuka knotted around his neck and tyre-tread sandals on his feet. “Zebra?” I ask. “No. zipper,” says Wilson, roaring with laughter. 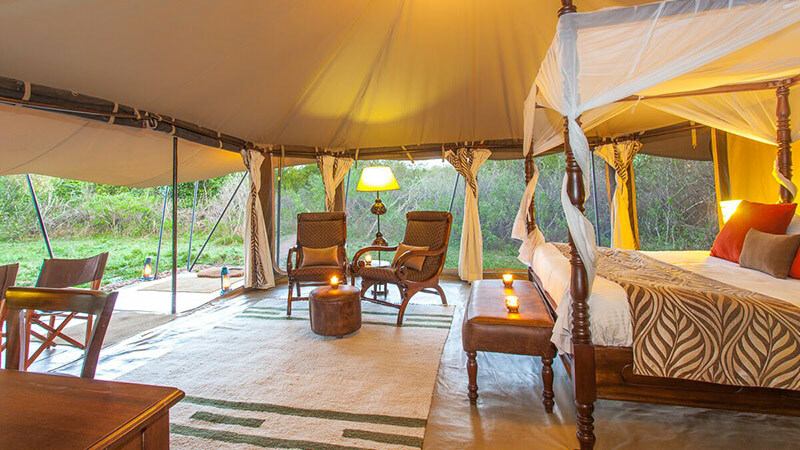 Staying in a luxury tent at Mara Ngenche Camp in the Maasai Mara National Reserve while on a Connoisseur Signature Safari with Bench Africa smashes all the rules about what you think you know about safety while on safari. Given hippos are responsible for more human fatalities in Africa than any other large animal, I’m surprised when I hear they visit the camp each night. Luckily, I’m being looked after by Wilson, who camps outside my tent each night armed with an assegai (pole) and steel sword sheathed to his waist. I have no doubt he would protect me to the death from the hippos who snort and hee-haw outside my bedroom all night. I’m reassured immensely by the fact that this is a man who had to kill a lion to prove his manhood. Although this age-old cultural practice has since been stamped out, the ritual scarring on Wilson’s leg is further proof that he is completely at ease in this untamed environment. At the end of each day, I collapse in my bed safe in the knowledge that the hippos waddling up from the river to graze on the lush carpet of grass outside my tent are not interested in eating me. “They are herbivores,” laughs Wilson. 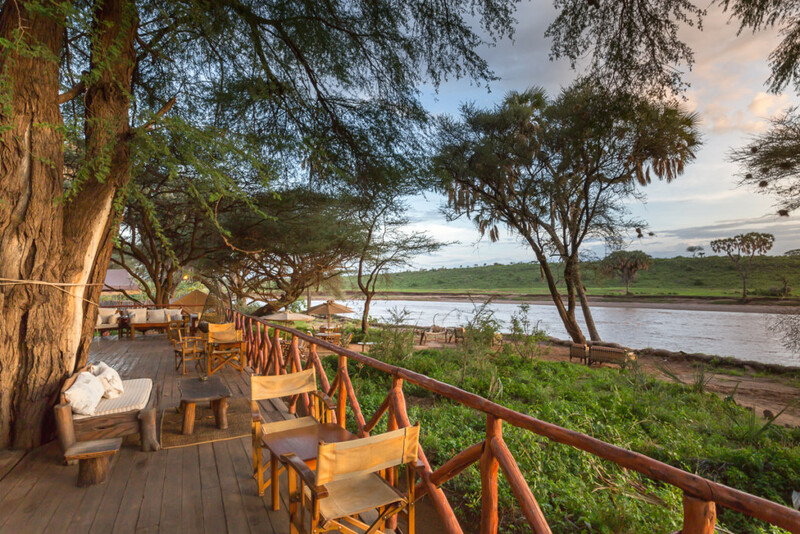 Mara Ngenche Camp has an incredible view over the confluence of the Mara and Talek Rivers, where we gather alongside our askaris the next day to witness a new-born hippo being swept downriver in the jaws of a crocodile. “You are very lucky. I have never seen this before,” says Mara Ngenche camp manager Paul Maina, as the two animals disappear around a bend in the bubbling muddy river. 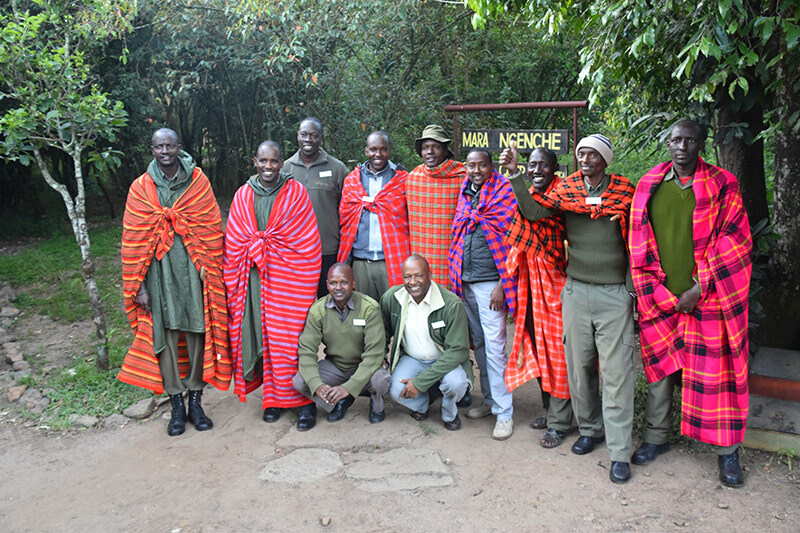 Luck is again on our side when we join Masai guide Milton Karlanke for our first game drive safari in Kenya as part of our Bench Africa tour. The air is pungent with the smell of dung as Milton points out fresh animal tracks and we stumble across giraffes grazing in a grove of acacia trees. 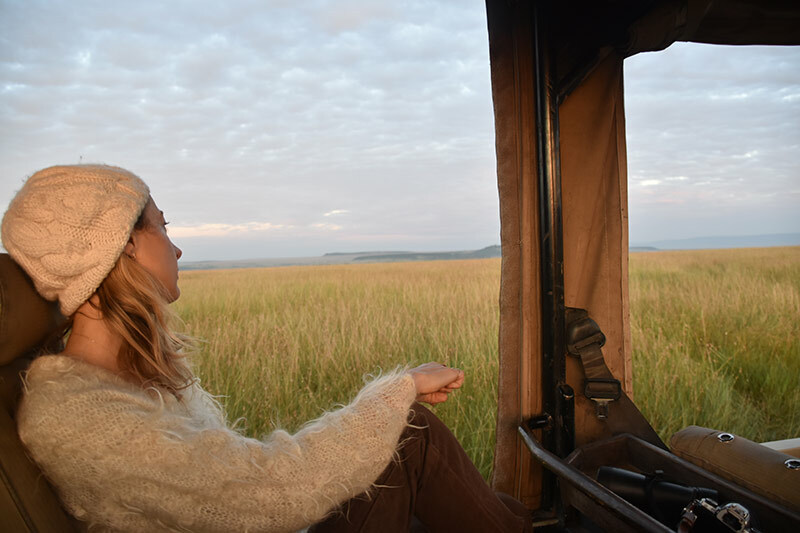 During our four-day safari at Mara Ngenche we watch herds of elephants silently pad across the landscape, follow a hyena loping home after a long night and watch a stand-off between a lioness and an elephant. 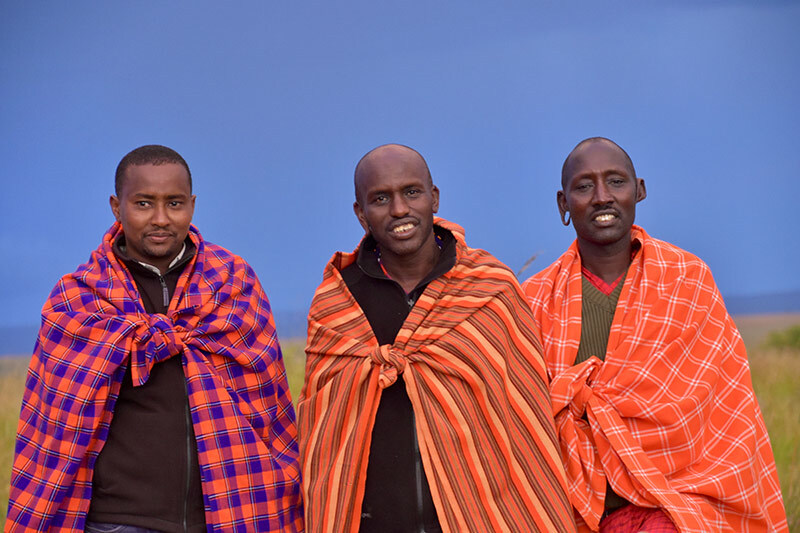 The skies in Kenya are vast and theatrical when we deviate from our game drive to visit the Maji Moto Maasai Cultural Camp to get an insight into village life. 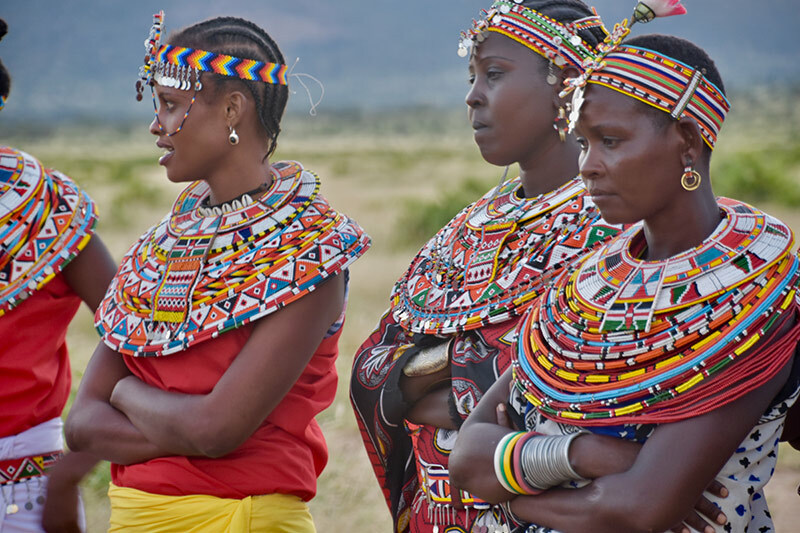 The warriors and women in the tribe all start whooping and shrieking and moving towards us, their weight shifting in a dance-like movement as they move closer and closer until their voices envelop us. The semi-nomadic pastoral tribe live in manyattas (mud huts) in the Maji Moto village, located in the Loita Hills and they open their homes and hearts to tourists in a bid to keep their cultural traditions alive while earning extra money for the village. 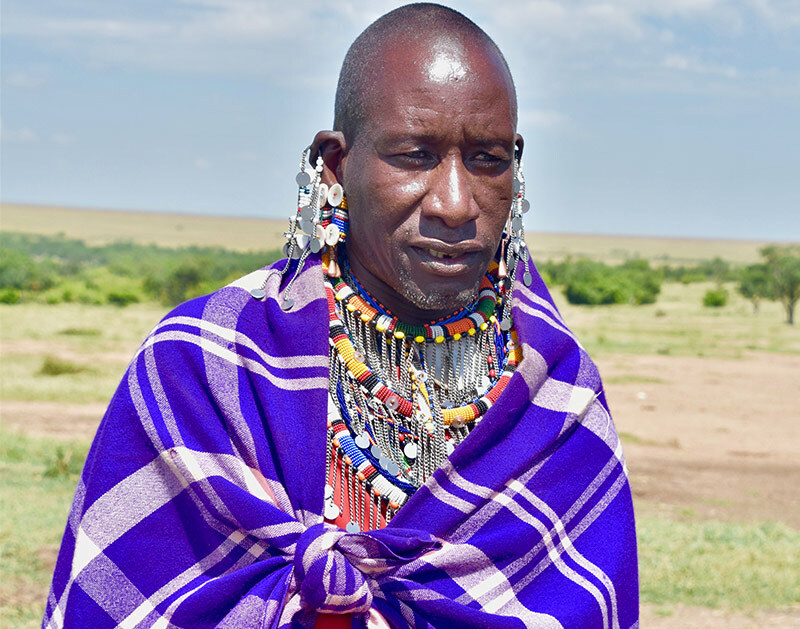 We receive a warm welcome at the camp from Masai warrior chief Salaton Ole Ntutu, who lost his arm to a lion during his initiation into manhood. After sharing some snippets about village life, Salaton leads the tribe as they perform another welcome song and dance. While staying at the Elephant Bedroom Camp in Samburu National Park, we sit and wait for the sky to turn indigo and the elephants to slowly crash through the camp. It’s like being on a hushed film set waiting for the cast to arrive out of the great hauls of wilderness all around. 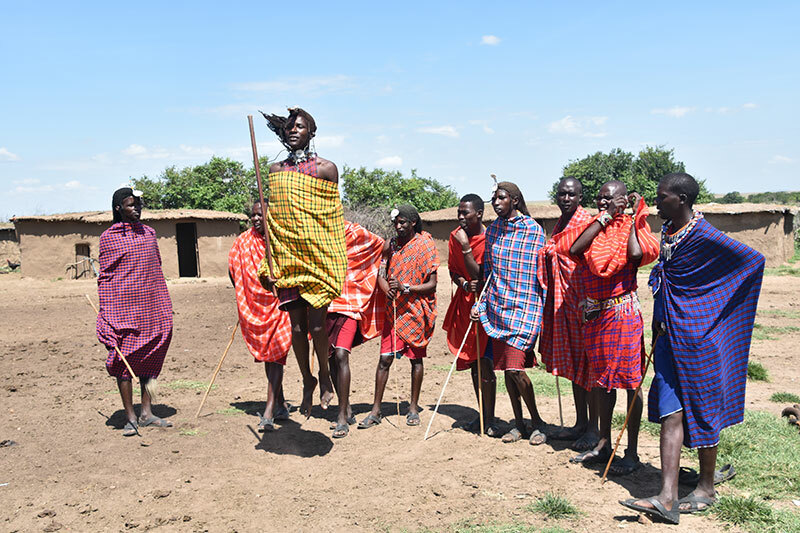 We are also treated to a performance by a local Samburu tribe who gather in their brilliant costumes to leap around in the ochre earth and sing. 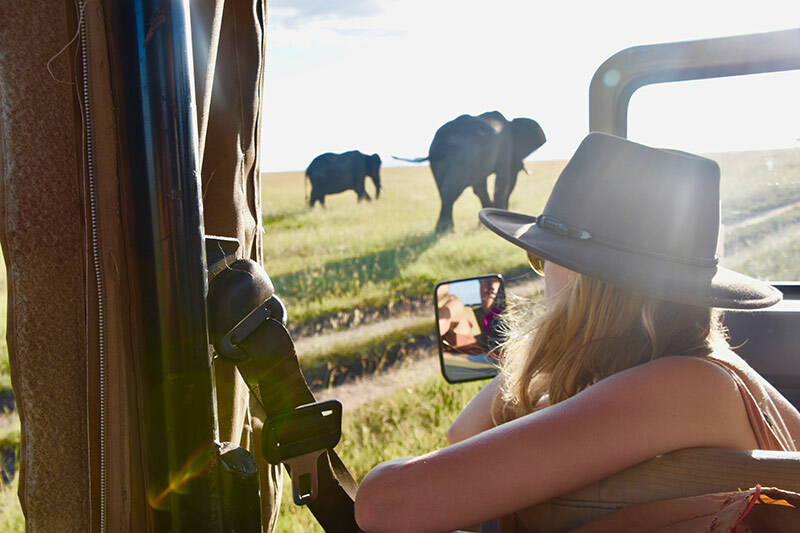 It’s while sitting around a circle of fire listening to the guttural chanting of the Samburu tribe that I realise that the thrill of a game drive extends far beyond the riveting occurrence of spotting the Big Five. 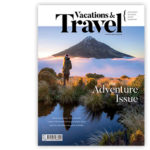 The real spirit of safari in Kenya – described by anthropologists as the Cradle of Mankind – can be found when you put down the binoculars and focus on the peripheral. And as for deciding between South Africa and Kenya, it’s an impossible task: both countries should be on your list of places to go. Carla Grossetti travelled courtesy of Bench Africa and SAA Airways.